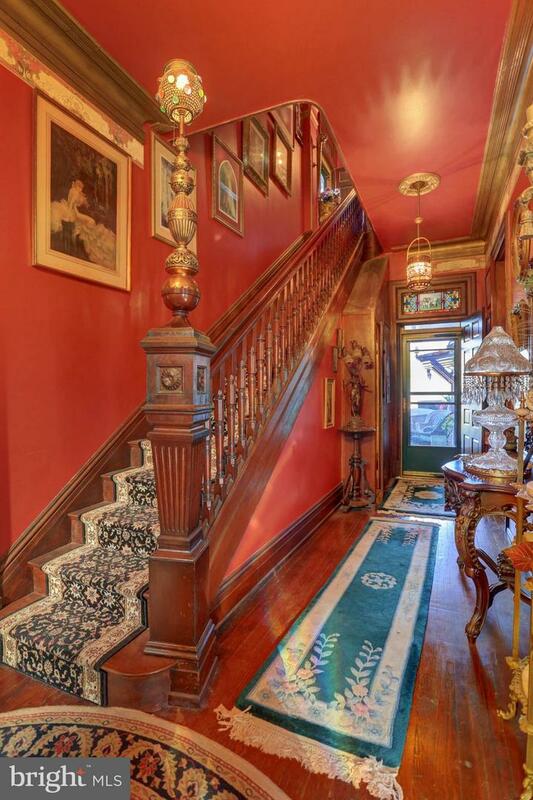 Award Winning Property - This beautifully crafted masterpiece is an Adams County landmark which offers endless possibilities.-The crown jewel of Abbottstown, PA is situated in the commercial town center convineint to Philadelphia, Baltimore, Harrisburg and York. See the zoning uses permitted below. -It was designed and built by the renowned architect J.A. 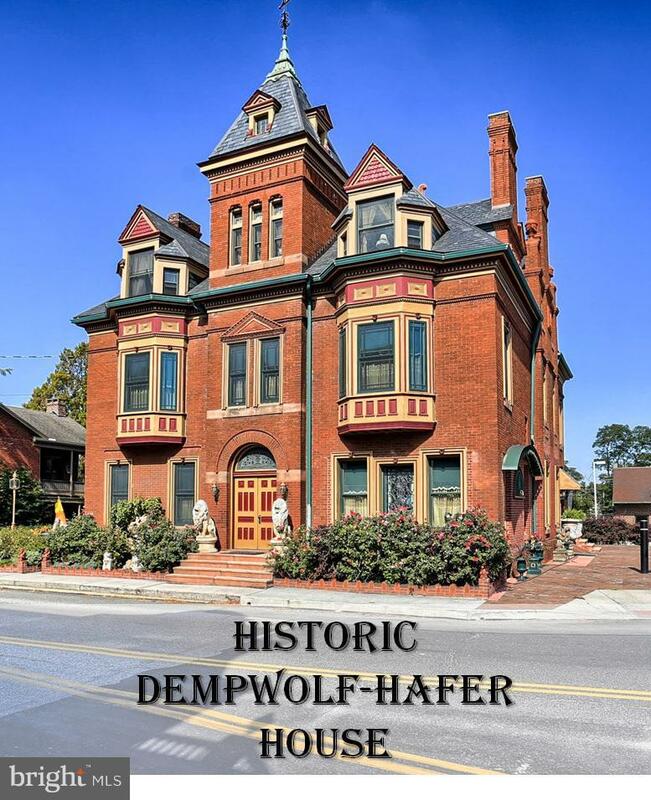 Dempwolf in 1884 and has been masterfully updated by its current owners. 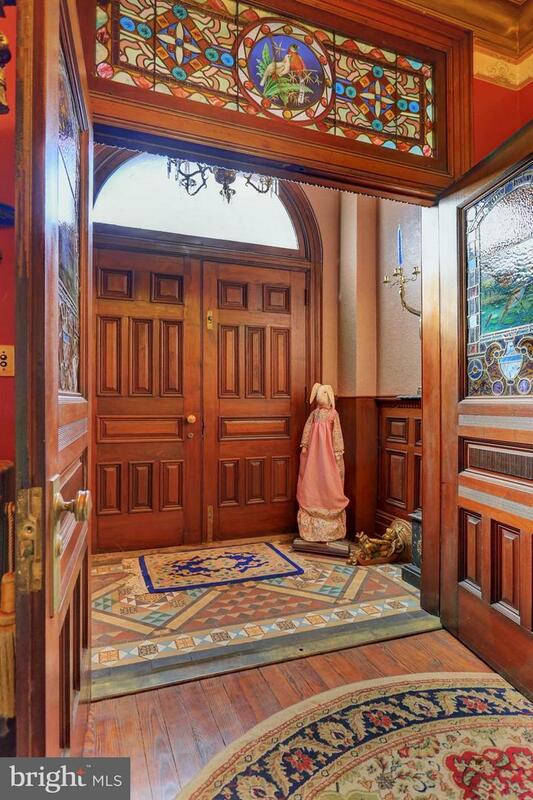 With over twenty rooms the home is a true blend of historic detail combined with modern amenities. This award winning property is ready for you to fulfill your dreams of a stunning home or business. -- Completely Updated Main House- 8 Bedrooms- 2 Master Suites- 4 Full Baths and 1 Powder Room- 1 Bedroom Apartment- 1 Full Bath- Full Kitchen- Additional Building- 1,800 square foot "pool home"- Full Bath- Full Kitchen- 16' X 32' Salt Water Pool- 2 Car Garage- 300 square foot beauty salon- Recently Landscaped- Furniture is available (separate from home) 40+ year collection-Abbottstown, PA ~ Town Center (Mixed Use) ZoningUses Permitted- Accessory buildings, structures and uses, per Section 902.C. - Accessory dwelling units, per Section 1002.A. - Alternative Energy Systems. - Bed and Breakfast Inns and Houses. - Business Offices. Including offices such as real estate sales, travel agency, insurance sales, advertising, retail copying and printing services, or other similar business offices. - Commercial Daycare Facilities. - Cottage industries. - Farmer~s Markets. - Financial Institutions. - Food Service Establishments. Including establishments serving food or beverages to the general public, such as or similar to a restaurant, caf~, taproom, tavern, retail bakery, confectionery or ice cream shop, including walk-up windows, outdoor dining and pedestrian take-out windows, but excluding drive through facilities. - Forestry- Funeral homes. - Galleries and Museums. - Government facilities. Emergency Service facilities and structures. - Home occupations. - Hotels. - Instructional studios for the study or instruction of dance, music, art, photography or other similar uses. - Mixed Use Structures, including any mix of the above uses in a single structure. - No-impact home-based businesses. - Personal Service Shops. Including shops such as a as tailor, barber, beauty salon, shoe repair, dressmaker, dry cleaner; or other similar personal service shops, excluding adult-oriented massage parlors. - Private Clubs and Fraternal Organizations. - Professional Offices. a. Including offices such as those for the practice of medicine or other health services, or for law, engineering, architecture, accounting, or other similar professional offices. - Religious Institutions and their associated uses. - Single-family detached dwellings. - Single-family semi-detached dwellings (Duplex). - Specialty Retail Shops. Includes establishments for the sale of dry goods, variety and general merchandise, clothing, food, drugs, household supplies, beverages, hardware, furnishings, antiques, baked goods, greeting cards, plants and flowers; and the sale and repair of jewelry, watches, clocks, optical goods, musical, professional or scientific instruments, or other similar specialty retail shops. This use shall not include a convenience store. - Theaters, including motion picture and stage plays. - Two-family dwellings. -Undertaking establishments. Inclusions All Furniture is For Sale - Outside Of The Real Estate Transaction.